TESC has taken teams overseas for the past 10 years and have participated in the Italy Cup, Copa Catalunya (Barcelona, Spain) and the Donosti Cup (San Sebastian, Spain). We have used Premier International Tours as our tour operator for all of our trips and have had great experiences with all of them. Their mission is to provide a premier soccer travel experience that exceeds team's expectations and provides players, parents, and coaches with memories that will last a lifetime. Our most recent trip was the summer of 2016 with one of our HS Girls teams. Premier International Tours has been organizing international soccer tours for North American teams to Europe, South America, and Asia for over 30 years. They are the only soccer travel organization in North America whose programs/trips are sanctioned by the National Soccer Coaches Association of America (NSCAA); they have an A+ rating with the Better Business Bureau; and they are the only company who is the Preferred International Travel Partner of US Youth Soccer and International Tour Partner of US Club Soccer. These are three of the biggest soccer organizations in the U.S.
With Premier International Tours, there is no such thing as a standard soccer tour - a "take it or leave it" situation. Your soccer tour is too important for you and your team to settle for a "one size fits all" package. With Premier International Soccer Tours, you will discover how a love for soccer truly unites the world! 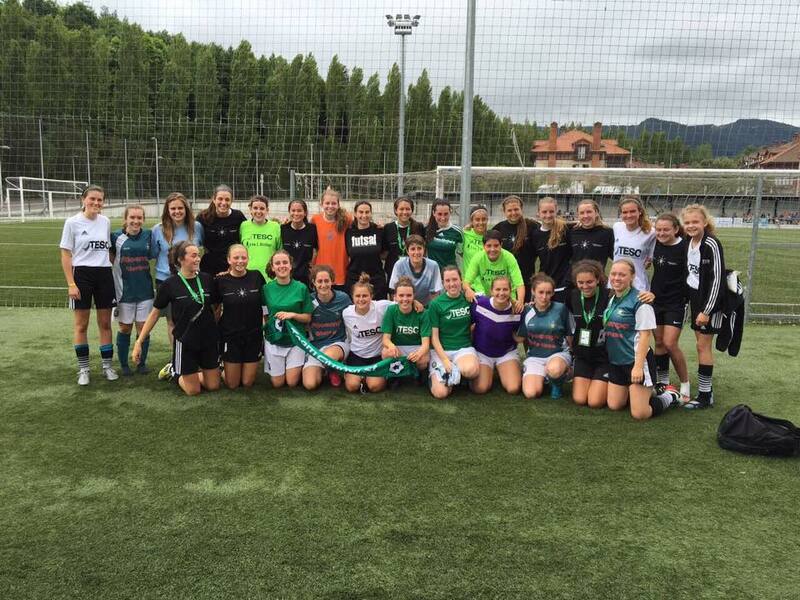 An international soccer tour to Europe, South America, or Asia is something our teams will remember forever. One of the best ways to experience the world's sport is by participating in a festive international tournament. Every soccer tournament that they provide offers a total soccer culture immersion. With their soccer tours, you can enjoy the thrill of competing against other teams from all over the world, as well as Olympic-style opening ceremonies, sightseeing, and social events. Our players will have a chance to fulfill a soccer dream: to represent our club, our town, and our country in a major soccer tournament on International soil. Recently they have added coaches tours to their programming and TESC has been fortunate enough to have a few attend over the past couple of years. Click HERE for the coaches tour!